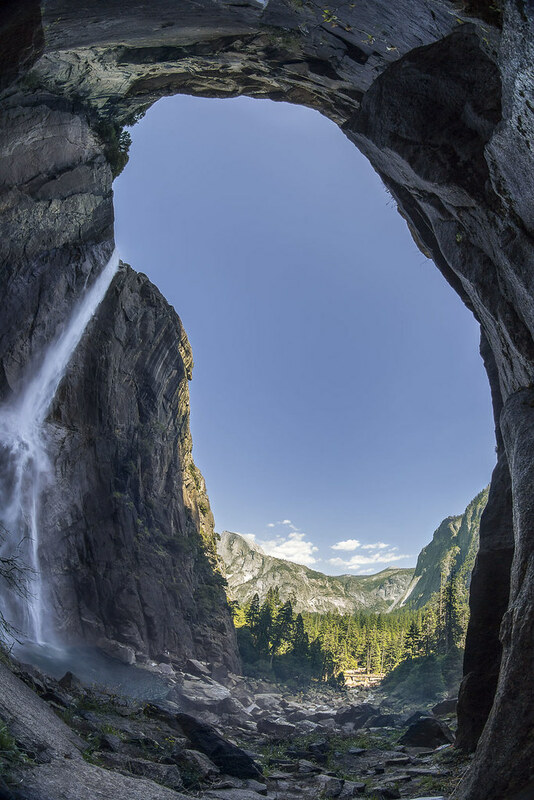 Did you know that famed Yosemite photographer Carleton Watkins would sit inside the small cave a the base of Upper Yosemite Fall to take photos of the fall? Well, it’s really not much of a “cave” per se, more of an overhang with a deep depression, but he did! Check out the photo below. Today’s Photo of the Day isn’t actually from inside the cave although it looks like it could be. What you’re seeing is wrapping of the sides of the cliff caused by the fisheye lens photographer Ernesto Borges used. Pretty cool effect. Be sure to check out more by Ernesto on Flickr. And, if you don’t know who Carleton Watkins is, you should. He’s responsible for taking a series of images that helped influence President Lincoln to make Yosemite a park. Check him out. He’s got a pretty interesting story. Next Post Weekly Weather Rundown: Now with 100% More Thunderstorms!